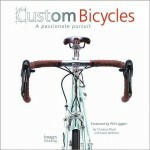 Truth be told, the title of this book is, perhaps, a bit misleading. And, yet, it is also serves as an affirmation of the lock that the National Association for Stock Car Auto Racing (NASCAR) holds on the imagination when “stock car racing” is mentioned. 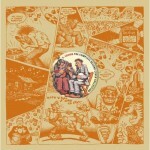 The appearance of this book a quarter of a century ago was a revelation and, in a way, a godsend. The timing of its arrival on the scene alongside first volumes of The Black Books (otherwise known as A Record of Grand Prix and Voiturette Racing) of the Formula One Register was accidental but certainly a serendipitous occurrence of the first order. 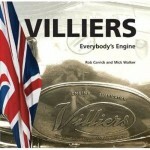 This first volume of Forty Years of Stock Car Racing was followed in rather rapid succession by three more: Vol. II, The Superspeedway Boom 1959–1964; Vol. III, Big Bucks and Boycotts 1965–1971; Vol. IV, The Modern Era 1972–1989; and a supplement, Forty Years of Stock Car Racing: Forty Plus Four 1990–1993. These, in turn, begat two additional books of no small import regarding stock car racing: Ramblin’ Ragtops: The History of NASCAR’s Fabulous Convertible Division (Galfield Press, 1990), which also devoted a chapter the abortive NASCAR Speedway Division of 1952­–1953, and High Speed at Low Tide (Galfield Press, 1993), devoted to the stock car races held on the beach in Daytona from 1936 to 1958. In what was almost the blinking of an eye, Fielden created a very dynamic shift in the rather anemic baseline of both the history of stock car racing and that of NASCAR, particularly its Grand National Division, now the Sprint Cup Series. 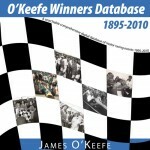 Although the Forty Years of Stock Car Racing series is the basis for the information and race data that fuels virtually every website devoted to NASCAR racing statistics, especially those for events prior to the last three decades, there has been little in the way of follow-up or, pray tell, expansion on what Fielden has provided many years ago. The format of the Forty Years of Stock Car Racing series is simplicity itself: each season begins with a short narrative of the season, touching upon the highlights—along with, on occasion, the lowlights—and other notable moments, before providing a short, newspaper-like summary (including a box score) for each event during the season, ending with the final points standings for the season. While this is very much the stuff of “. . . ho-hum, okay. . .” for many today, a quarter of a century ago this was largely unknown terrain! Few of even the most dedicated NASCAR statisticians and pseudo-historians had this type of information at hand. Needless to say, all this was a bonanza for those who were looking for this sort of data and detail on the early NASCAR Grand National events. And, yet, while there was a revised edition for the first volume of the series, as well as a number of printings for several of the other volumes, to use a paraphrase, what you have is what you’ve got. 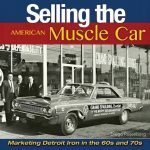 True, there have been those who have followed the lead of Greg Fielden and dug deeper into the early seasons of the NASCAR Grand National Division, but little of that seems to have entered the mainstream of automobile racing history, if you will, certainly not in book form akin to that of Fielden. Then, again, Fielden self-published his books, which should tell you something. A question that might seem blindingly obvious to even The Untrained Eye might be, Where is NASCAR in all this? With the opening of a fame of fame museum in Charlotte several years ago, it might have been imagined that NASCAR would take steps to provide similar material from its archives. Of course, as far as can be told, it has been a number of years since NASCAR has listed a historian as a member of its staff. Given the rather mercenary bent of NASCAR, with its shameless bilking of every penny from its legion of fans, to say nothing of its attitude regarding everything imaginable—including its history—as a commodity to be hawked to its fans, one does wonder why NASCAR has yet to tap into this largely untouched market. It has been suggested in some quarters that NASCAR is actually missing many parts of its records from its formative years. One must take this assertion , whatever its merits, on faith, given that access to the records of NASCAR, even old ones, is highly restricted. Very few are granted entry into this inner sanctum of the organization. 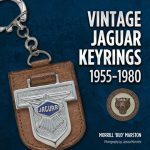 This means that there are a number of items of interest to automotive historians that will either remain mysteries or await the fruits of the research of others yet to come. It is interesting to note that during the 1964 Grand National season, there were sixteen different points schedules used, which is twice the number of points schedules listed in the standard NASCAR Grand National program for that season. 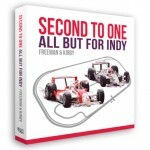 So, while there is a plethora of information on Grand Prix and Formula One racing events from the dawn of racing to the latest race, often delving into the smallest of details and the most trivial of the trivial, this is not the case when it comes to what is deemed the most popular form of automobile racing in the United States. True, if one is willing to devote a great deal of time to trawl any number of websites (assuming that one is able to access long-forgotten pages from what is considered the far-distant past in the Internet Age—just a few years ago) one might be able to find everything from the chassis numbers of cars used in races to the codes on the Goodyear tires to the qualifying times for each driver. Of course, none of this is easily accessible, much less readily organized for use. Which, naturally, brings us back to Greg Fielden. One does wonder how it might be today had Fielden not taken the initiative and provided the results of his research to the rest of us. Although Fielden certainly has some degree of assistance from NASCAR, there is that nagging doubt that those in Daytona Beach would have—at least willingly—given the world what Fielden did. We certainly seem to own a debt of gratitude to Fielden. An aside: as shocking as it might be to some of our readers, stock car racing in the United States existed long before NASCAR was formed in 1948. It was around for decades prior to the stock car race held on the sands of Daytona Beach in March 1936 or Lakewood Speedway in Atlanta a few years later. It certainly did not begin with a bunch of moonshine haulers carving out an oval in a field outside Stockbridge, Georgia, in the 1930s. Nor did it originate with the notion of giving bored, competitive moonshine haulers something to do on a Sunday afternoon. Nor did stock car racing originate in the Deep South; indeed, the region was actually rather late to the game compared to the rest of nation. 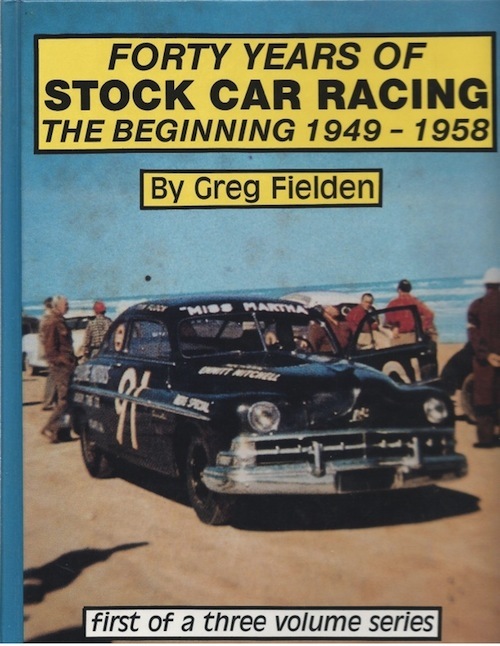 What is interesting regarding the work of Greg Fielden and his Forty Years of Stock Car Racing series is how he manages to skirt around so much of this mythology (another “M” word might be better: malarkey) that has been generated regarding stock car racing in the United States.